The Settlement Exhibition - Reykjavik 871± 2 deals with the settlement of Reykjavík. 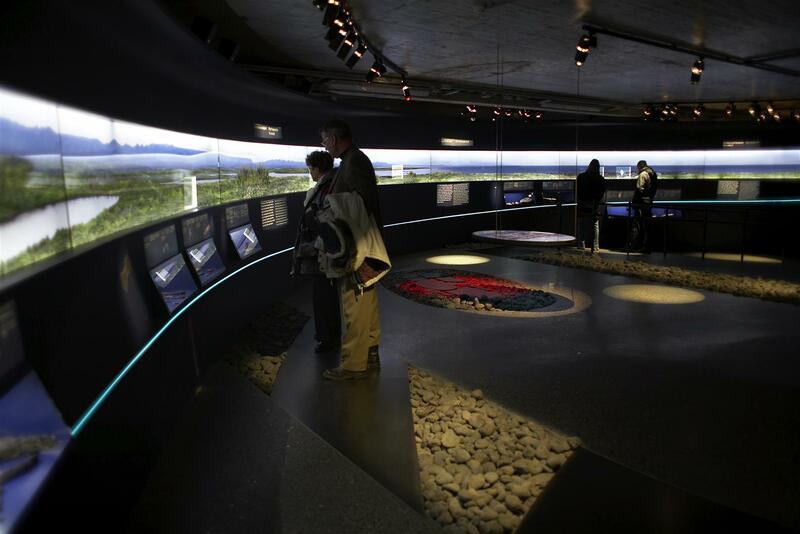 The exhibition is based on scholars theories on what the heritage sites in central Reykjavík can tell us about the life and work of the first settlers. The focus of the exhibition is the remains of a hall from the Settlement Age which was excavated in 2001. The hall was inhabited from 930-1000. North of the hall are two pieces of turf, remnants of wall which was clearly built shortly before 871. This is one of the oldest man-made structures so far found in Iceland. Also on display are objects from the Viking age found in central Reykjavík and the island of Videy. A layer of tephra was deposited around 871 AD from an eruption in the Torfajokull area, about 400 km to the east. The layer was dated to 871, with a possible range of error or two years either way. The tephra plays a crucial role in dating finds from the early years of Reykjavik history. Various methods are employed to explain and interpret the remains of the building. In a reconstuction window are controls for calling up a three-dimensional image of how the hall may have looked. Building techniques are also explained. On the multimedia table is a large model of the hall, with diverse information on the archaeologists´ research findings and methods, the hall as it was, and the life and work that went on there. Two touch-screens give information about cultural affinities between different North Atlantic nations and the Vikings´ expansion and how they settled new countries. Those who are keen to learn more about the archaeological site or other aspects of the exhibition can call at the computer centre on their way out. An exhibition guide which discusses accounts of the exploration and colonisation of Iceland was published.